SOLO manufactures a complete range of garden equipment and arbour products, including; sprayers, chainsaws, brushcutters, mowers, hedge trimmers, blowers and cultivators. In Australia, it distributes the no. 1 backpack sprayer used by city councils, contract gardeners, nursery professionals and rural farmers alike. 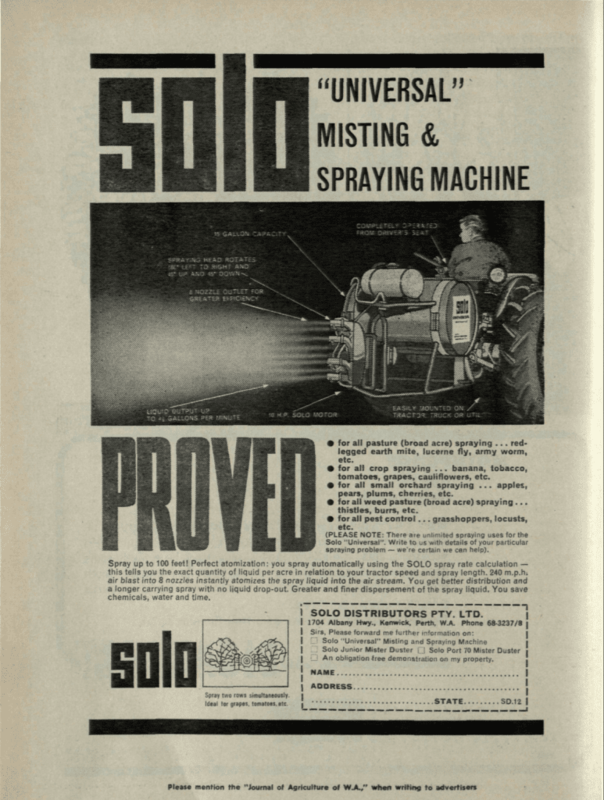 The ‘SOLO story’ begins in a small workshop in Stuttgart, Germany, where brothers Hans and Heinz Emmerich developed the first, small, two-stroke engine. In 1948, both the SOLO company and the KMS30 engine were born. Conceived as a power source for portable machines, the KMS30 was an incredible feat. it weighed 6.35 kilograms yet produced 1.2HP, despite the ‘lightest’ industrial engines at that time being more than double its mass – weighing in at 15 kilograms! SOLO went on to innovate in other areas, but its reputation has always been defined by the provision of superior arbour products. Here, it ‘led the charge’ as one of the first companies to equip Australians with chainsaws and brushcutters! Now, those characteristics that defined SOLO in 1948 – including its pioneering spirit, entrepreneurial courage and talent for innovation – are embodied by the second generation of the founding Emmerich family. In the 70 years that have since elapsed, SOLO has only consolidated its rank as a global leader of superior sprayer equipment manufacturing. Clayton Engineering is proud to be a privately-owned Australian company, supporting customers since 1975. We are a market leader in product development, innovation and customer support in a variety of industries, including; pumping, outdoor power products and gardening, generation and renewable energy, and water treatment. 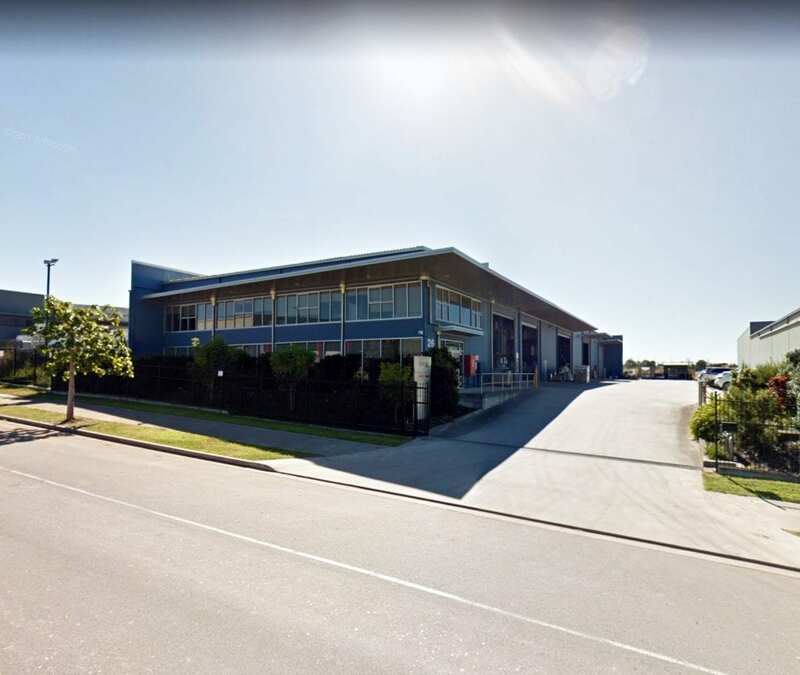 Clayton markets a complete range of products Australia-wide, with warehouses strategically located in Brisbane, Melbourne and Perth. Today, we operate in the domestic, industrial and agricultural pumping market through professional brands offering competitive prices. Power generation has been another point of service; a component of Clayton’s tradition for 30 years. Through a wholly-owned subsidiary, BioRemedy, solutions for water and wastewater treatment are also offered. In Australia, we are the sole distributor of SOLO products, which are manufactured in Germany. A world-leader in two-stroke technology, SOLO produce garden and rural products for spraying pesticides and weed control agents. Clayton Engineering is a customer-orientated organisation. We pride ourselves on bolstering quality products through technical and back-up service to ensure the end-user is fully satisfied with their purchase. Our online and telephone support is unparalleled – a leader for the industries in which we operate.